Becca’s lovely combination of human ingredients featuring kindness, warmth, and positivity, in conjunction with her incredible entrepreneurial lens, is one of marvel to witness. Portland is better because of this incredible human! 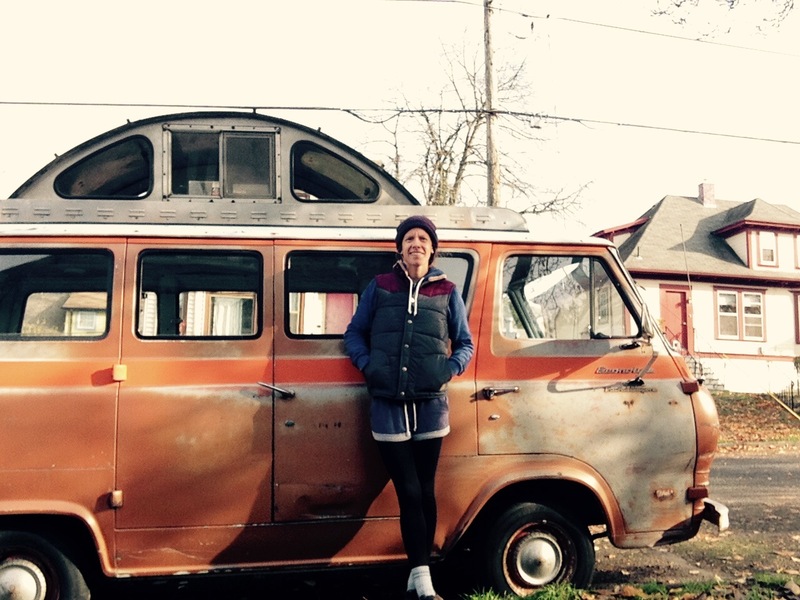 Becca Meierbachtol is no stranger to the challenge of creating a dream job. Her work life is a manifestation of her passions, centered around movement, physicality, and activity. 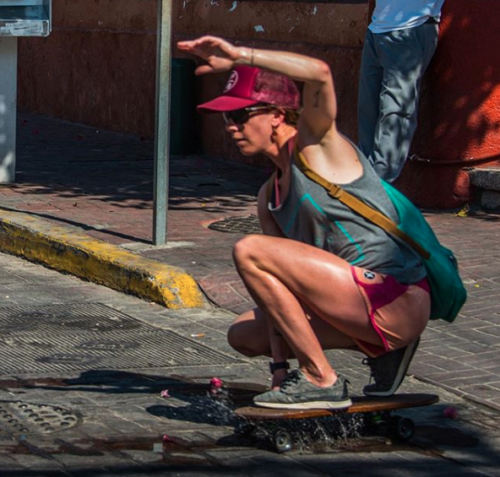 A full-time personal trainer, she also runs Old Ford Skateboards, her growing side business. For Meierbachtol, the path to her passions wasn’t about finding them but cultivating them into a job and career. As a personal trainer, Meierbachtol started FRESH Performance in 2011, where clients include athletes from the Oregon Ballet, Portland Thorns, and the Portland STAGS. When she’s not there she’s in her shop at Old Ford Skateboards. “I tell people that I own a small business making handmade skateboards which usually causes a reaction of ‘whoa, really! ?’” It’s that new creative venture we’re exploring, her second and newest passion project. It truly is rewarding to love the work you do. When you can turn your passion projects and dreams into a job, whether it be a side job, part-time, or full-time. “I truly feel a strong passion for shaping skateboards and having people hop on one and enjoy the ride. I know it might sound silly, but I love waking up knowing that I get to work in the shed and create something that people could enjoy and that I enjoy. I have always really been drawn to the surf and skate culture and I love being involved in it any way I can. I also love reusing materials and creating something new out of the old. To take a plank of wood and shape it into a usable board that can function and ride is so rewarding! I use sand from the Oregon coast as my grip on my boards, which again just incorporates natural substances that already exist. I want people to see the simplicity in my boards and realize that they can shred on a board that is not necessarily a modern, high tech board.” Meierbachtol looked back on her youth and was reminded of three things that she loved then and now: surfing, skateboarding, and art. It’s the things that have always made you happy that are the best places to start looking for work to be passionate about. Maybe it’s not me that needs to reconnect, but the world that needs to disconnect. 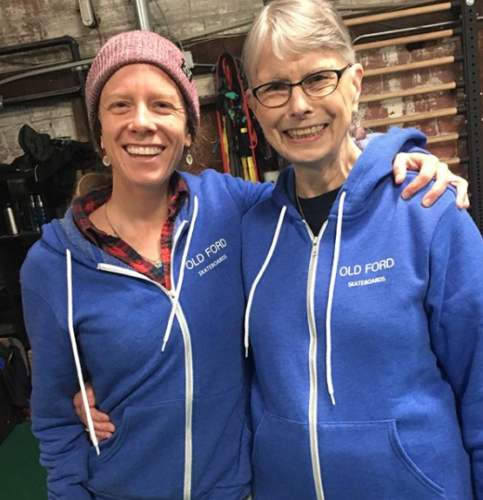 “I think there is something to be said for that,” she says, “Old Ford Skateboards takes a retro style and brings it to today’s world. 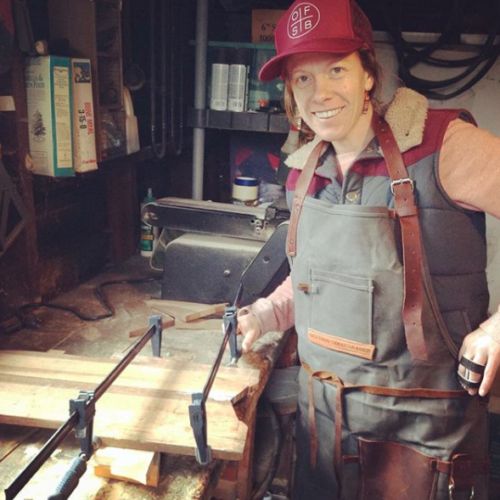 The boards are smooth cruisers, sustainable, fun, and simple.” Her first goal is to make cool skateboards and enjoy the time spent making them. At the core of that goal lies simplicity, enjoying the process from start to finish. For Meierbachtol, pursuing her passions makes every day a whole lot more fun. No job is a perfect fit until you take ownership of it and make it your own.